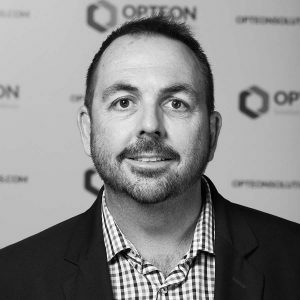 Alex is a partner and senior Valuer of Opteon (North QLD) Pty Ltd. Alex is responsible for valuation services in relation to commercial/industrial, development and residential properties, rental assessments, specialised litigation matters and property settlement and specialised commercial properties like Hotels, Motels, Service Stations and Tourism Type Property. Alex has extensive experience throughout Queensland in a wide range of property matters including resumption, compulsory acquisition claims, insurance valuations, rating appeals as well as Family, Federal and Supreme Court Matters. In addition to property valuations, Alex has gained a wide experience in valuing Real Estate Rent Rolls over the last 13 years within the North Qld Region. Alex is responsible for the day to day running of the office which involves overseeing and training of cadet valuers, quotations and distribution of valuation assignments to the other valuers.